Three Philadelphia thugs attacked a taxi on Saturday night. The pulled the white passenger from the car and beat him on the street. Then they beat the taxi driver. IN A HORRIFIC assault in Center City on Saturday night, three teenagers who were spouting racial slurs pulled a man out of a cab to beat him. And when the cabdriver intervened to stop the assault, the teens turned their rage on him, police said yesterday. 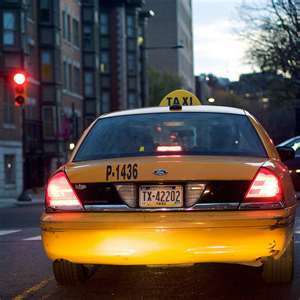 When the cabbie got out of the car to see what was going on, the passenger ran away and the teens turned on the cabbie. They punched him in the face, kicked him and threw a liquid on him, police said. Despite being outnumbered, the cabbie grabbed a tire iron from his trunk, at which time the teens ran away. The driver flagged down a police officer, and the three boys were arrested. They were charged as juveniles with aggravated assault and related offenses. The cabbie suffered an injury to his right eye and had abdominal and side pain, police said. The passenger remains unidentified. Police said the three teens were black and the cabbie and passenger were white. Police did not immediately know whether the teens would or could face hate-crime charges. Another man was murdered in Philadelphia earlier this month when he hailed a taxi by the Liberty Bell.